City Bus & Waikiki Trolley stops are located directly behind the Cafe on Saratoga Road. 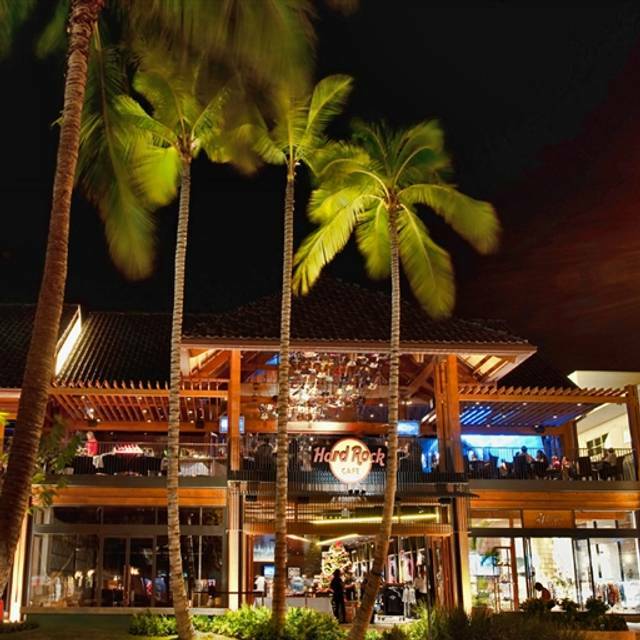 Situated in the heart of Waikiki, Hard Rock Cafe Honolulu is conveniently located within walking distance to many major resorts, a variety of shops, the Hawaii Convention Center, and the iconic Waikiki beach. Enter through the first floor Rock Shop®, where you’ll find an array of collectible fashions and music–related merchandise perfect for souvenirs and gifts. 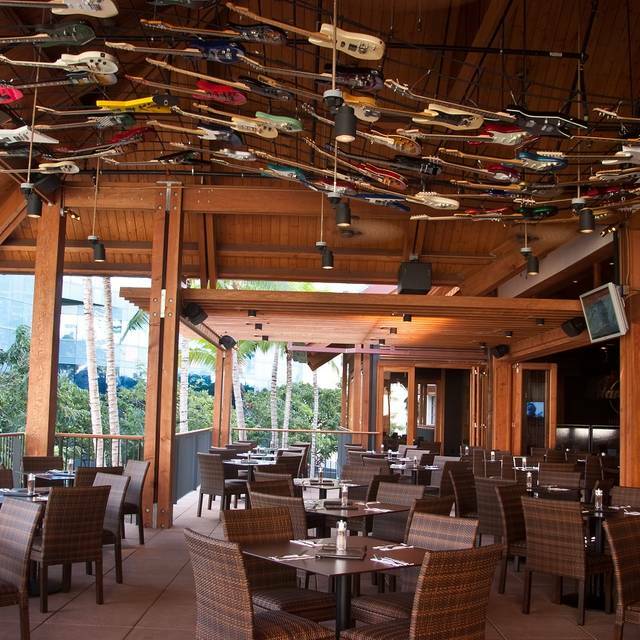 Follow the sweeping artistic guitar wave up to an open air second floor area with veranda seating and a striking ocean-blue wave bar for a truly unique dining experience. Hard Rock Cafe’s extensive made from scratch menu caters to the entire family with fresh seafood, a variety of crisp, refreshing salads, tasty char-broiled burgers, and delicious desserts. Thirst quenching specialty drinks and thick frosty shakes top off a dining experience that is truly legendary. Our priceless music memorabilia collection is ever changing, and may feature items from music legends such as Elvis, The Beatles, & Jimi Hendrix. Service was a bit hit and miss on this second visit. Couldn’t help think that our waitress had too many tables to service whilst others stood around yacking. Ask for Laramae. What a sweetheart. Food good, but little on spicy side. Store is only place you get Honolulu branding, can’t get online. 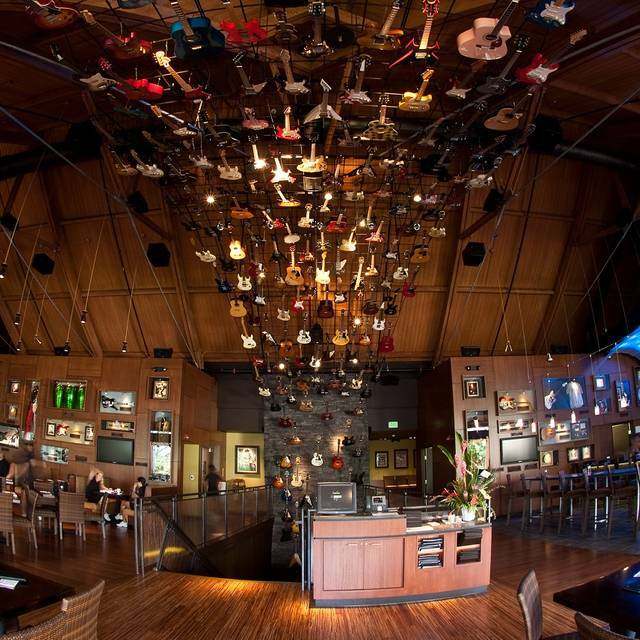 I have never been to a Hard Rock Cafe before this trip. Service was great, food was awesome, view was pretty cool. We arrived before our reservation time and they were still able to accommodate us. Had a good time. Good was great! The only thing is the price for a shot, $12.00! A little pricy. Over all everything was great. Typical HRC, tasty burgers, best gluten free bun I’ve ever had! Small mistake on my son’s meal, but they refired it quickly and then didn’t charge us. One of the better HRC stores, imho. Food and service was outstanding, wonderful experience. Not much of a menu choice, vegies were not good. 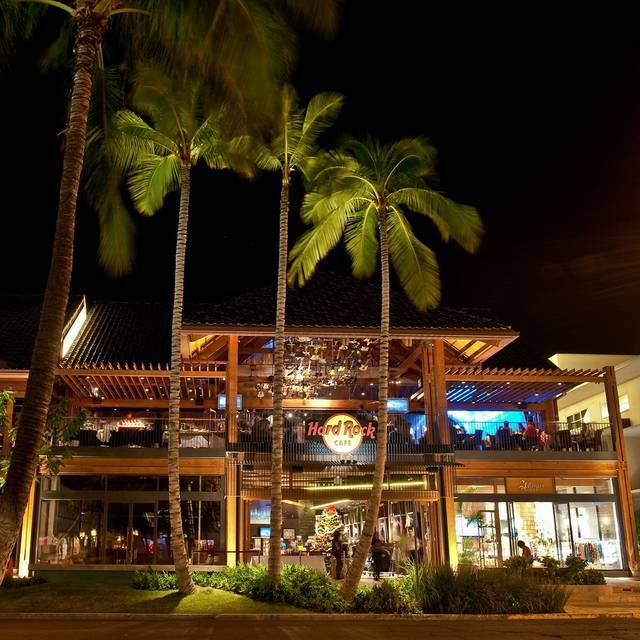 We recommend Hard Rock Waikiki because the food was delicious but the main reason was our server Brooke!! She went above and beyond to make sure our time spent at Hard Rock was worrhwhile. It is because of people like Brooke that we will done here again but also it is because of her that we have had such a wonderful trip! Aloha AlessiaC and thank you for the Five Star Open Table Review! 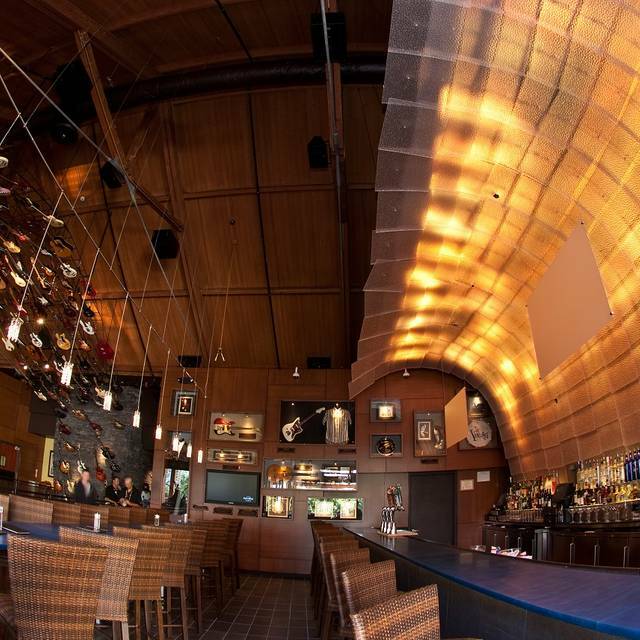 We are glad to hear that Brooklyn made your dinner a memorable one and we hope to see you again soon! Mahalo! Spent $80 for two burgers, nachos and a drink.... the burger was not that great very dry. We had a fantastic night celebrating our twin girls birthday in Hawaii, food was delicious and service great. Aloha JoAnneG and thank you for the Five Star Open Table Review! Glad to hear that you had a Great Birthday Celebration and we hope to see you again soon. Mahalo! Burger was cooked to perfection! Great experience and service! On the pricey end but Hawaii is not cheap. 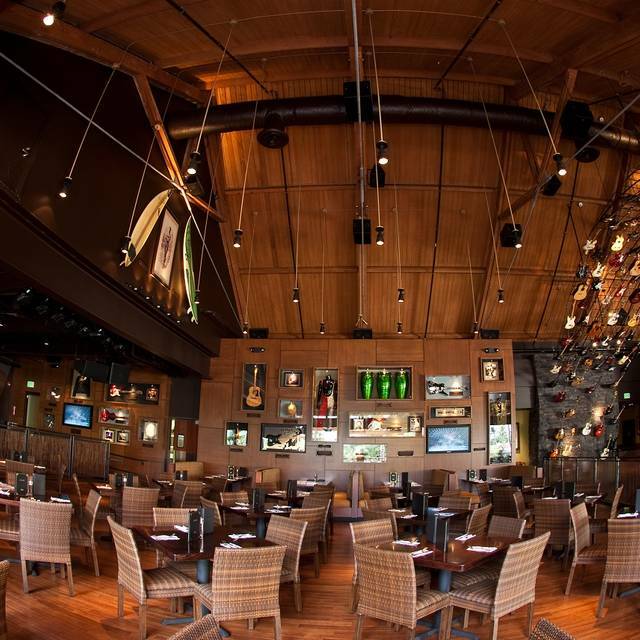 Server was fantastic and personable, food was okay, atmosphere was not hard rock. It was way too poppy and commercialized, not what I had expected. Thank you for your feedback, we will let our management team know about your expectation!! We want to make sure we have a variety of music playing !! We loved the food and especially the service!!! Always a wonderful experience!! Thanks for rockin with us !! We went here for an early dinner. We were seated immediately and greeted right away by a very friendly waittress.. She willingly changed my order to meet some dietary restrictions. Our food arrived quickly, was hot, and our orders were correct. 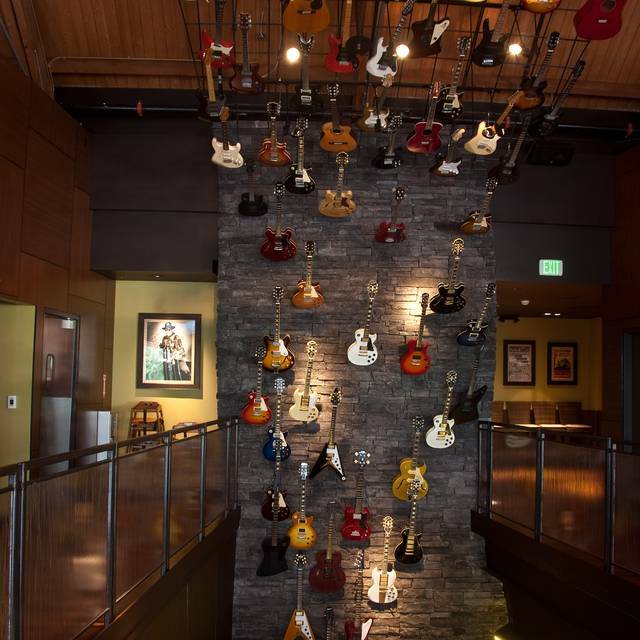 The guitar collection hanging on the walls and ceiling was outstanding! All in all, an enjoyable meal. We celebrated our engagement at the Hardrock. The staff were brilliant and attentive. Food was delicious also. Thank you for making our special night at your venue very memorable. High school band was playing awesome 80's music. It was great! Just ramping up for breakfast so they were really short handed. Staff were very nice and were very accommodating! Great music and food was reasonable ! This is awesome feedback, we will definitely take a look at this as we get busier for breakfast. Let us know how we can improve on food? Having to wait with a buzzer when arriving on time for a booking is not a good start for dinner. But the sever and food was great. Good night just not the best start when arriving on time to be told you will need to wait. What’s the point of booking with OpenTable? Aloha Linda, I want to apologize about having to wait for your reservation. We have been experiencing large High School Band groups for spring break. We may have needed to reset causing a short wait. Please feel free to call the café if have any further concerns, and thank you for your feedback we are happy to heard from you to improve. Great view as we sat in the rail facing the street. It was very noisy but that’s what you’d expect at Hard Rock Cafe. Service was awesome! Meals and drinks were very pricey but we can say we’ve done it! Waitress was really friendly but took a very long time to clear our plates. We then had to ask for our bill then she disappeared and we didn’t see her again so had to take bill to another staff member. Our table was very windy and freezing cold even with jumpers on. Our waitress was friendly and very helpful . For the first time the food came out look better than the picture on the menu I was very pleased with that Great service,food and friendly all the way around Aloha. You have pay for parking of 7 dollars with validation 9 dollars without validation. I had the breakfast burrito and potatoes. My son had a hamburger keiki meal. He liked it. Updated my review because Hard rock gave gift cards to redeem for the inconvenience and maybe they just had a bad day because I have been many times before and had good service and good food! Mahalos! Nice to sit outside for an early dinner! Ribs were plentiful and delicious! We split one entree. Skinny margarita was great! Food was average,but the service was awesome. Are server made the experience. Ten of us in our party, dining on different dishes. All very pleased. I had a great hamburger! Our waitress had a beautiful personality and was outstanding! Great place to dine! Brought our 13, 17, 18, and 29 yo, and they had a great time! Waitress helped us celebrate a birthday, and a waiter joined in when mom danced up to another waiter. Good times for all, and yummy food! This was my second time coming to HRC since 2014. Each time has been a BLAST! Love the surrounding!. Will make this a stop each time I come to the ISLAND! The waiter (Brent) was fantastic and such an interesting and helpful man. Food was great and live music was loud but good. Awesome experience. One of the best Hard Rocks that we have visited. Service was great and fajitas were even better. Thank you for rocking with us!!! Our waitress was certainly friendly and wonderful HOWEVER she was exceptionally slow. Then to top this off there was HAIR in my daughter's salad. The food and service were both amazing. The background music was loud.